Bayani, a boy of 11, is desperately trying to care for his sick father (a fisherman) and keep food on the table for his small family. 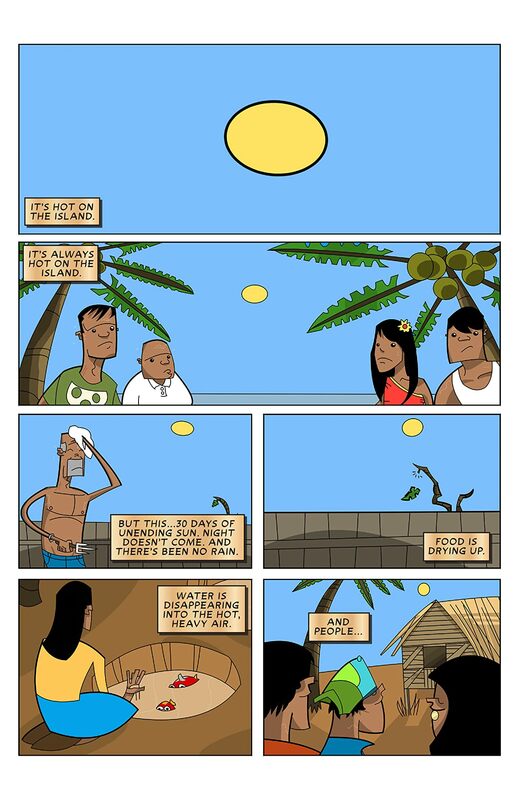 Unfortunately, the sun has been shining down on the islands for the last month and night refuses to fall. The land is growing parched from the constant heat and the fish are moving further and further away from shore. 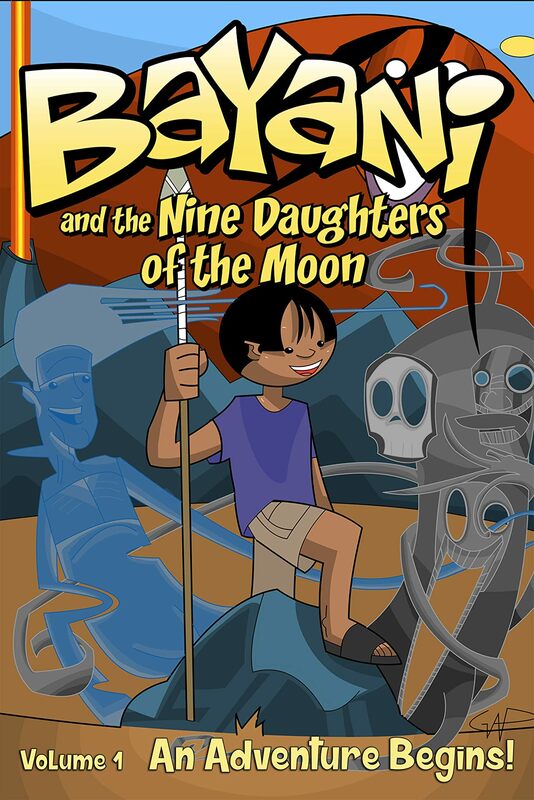 During this disaster, the rain god, Pati', recruits Bayani to undertake a quest rescuing the nine kidnapped daughters of Lady Moon from the horrible monsters of lore. 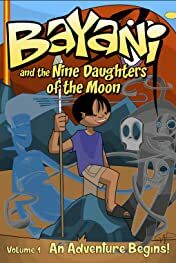 Bayani embarks on a great adventure with his friend, Tala, and using their wits, the kids defeat one hideous creature after another in their quest to rescue each of the Moon's daughters and ultimately save their village. 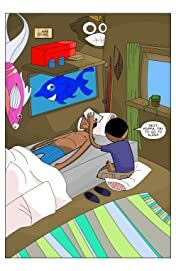 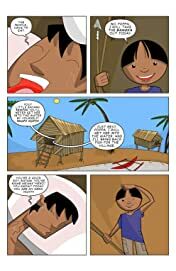 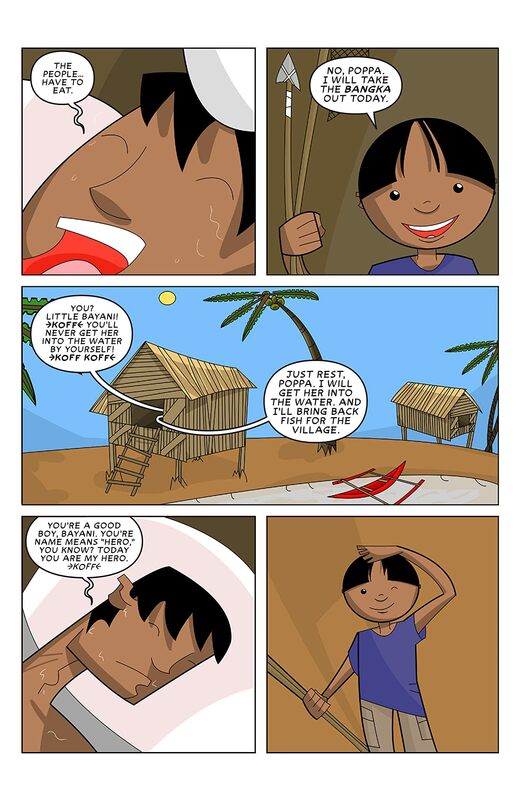 Collects Bayani's first three amazing adventures for readers of all ages to enjoy.